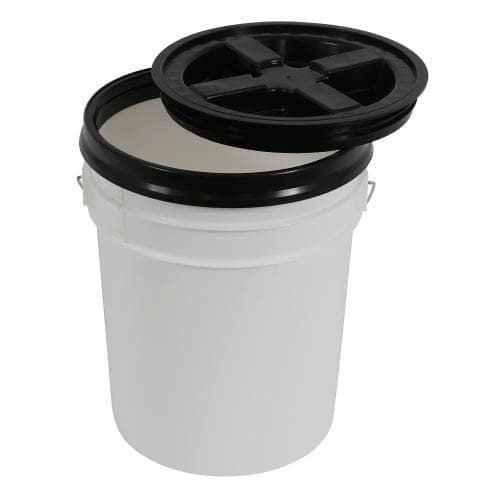 Transform standard 3.5 & 5 gallon our (white or black) buckets into airtight, water proof, leak proof, pest-proof storage containers with this Gamma Seal® Lid. This patented 2 piece sealing system is very easy to use. 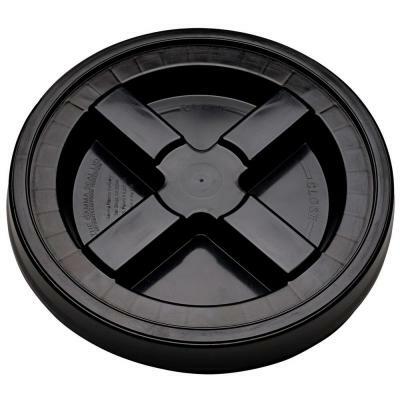 Simply snap the universal adapter ring onto your bucket and spin-on the removable, threaded lid. 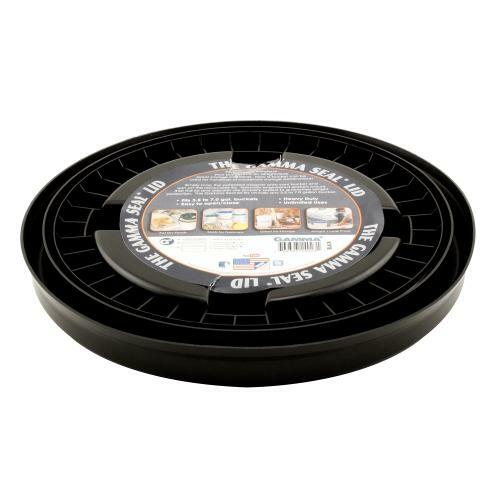 The durable elastomeric gasket keeps air, water and contaminants out, while protecting the contents inside. 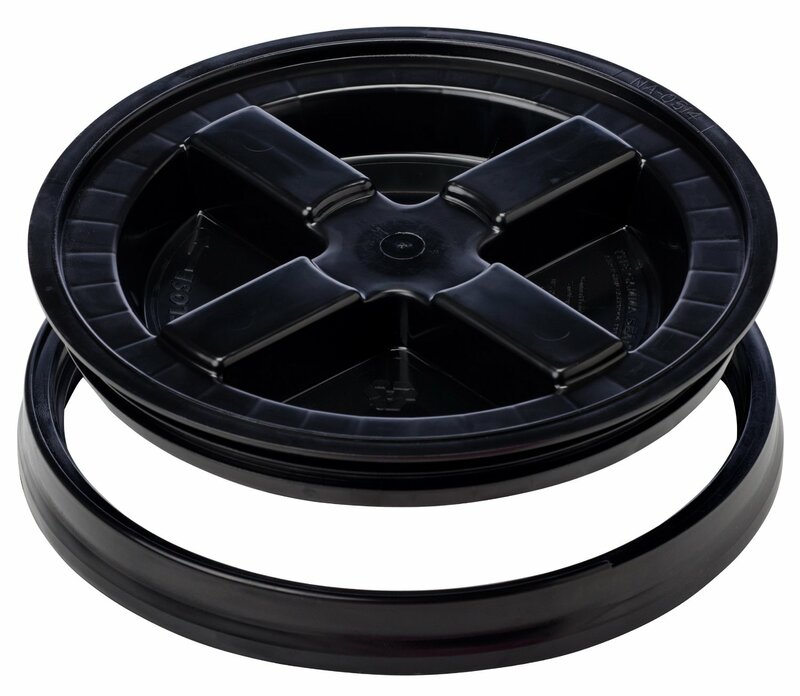 Can be used for dry or liquid storage. Made from high density polyethylene. FDA approved food grade plastic. BPA free. Approximately 12 inch diameter.